Hardworking mobile steps for everyday use. Now certified with the BSI Kitemark to EN 131-7: 2013 to give you extra reassurance in quality, safety and sustainability. All welded tubular steel construction with an epoxy powder coated finish in Red. When body weight is applied the castors retract, leaving the steps stable and safe on the rubber feet. Twin hand rails and a high guardrail for user safety. Available with a choice of Ribbed Rubber, Anti-Slip or Punched Steel treads. 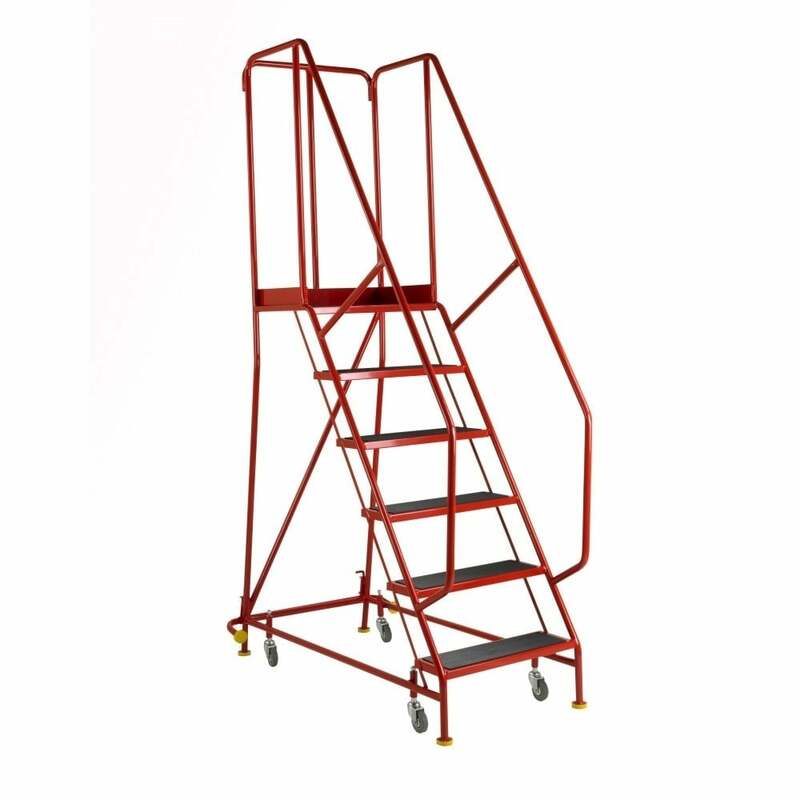 4, 5 and 6 tread steps are fitted with hinged stabilisers. Castor Dims: 4 x 100mm rubber tyred retractable all swivel.